Regiondo is an all-in-one solution for leisure and activity providers to book and manage appointments and activities via the own website. With this software it is possible to increase the customer satisfaction immensly and become more independent in the daily business. "The best booking solution for tour operators like myself "
Links to other sales channels such as Viator, Get Your Guide etc. Nice presentation of product for our web page .It is very easy to use. The service is great. 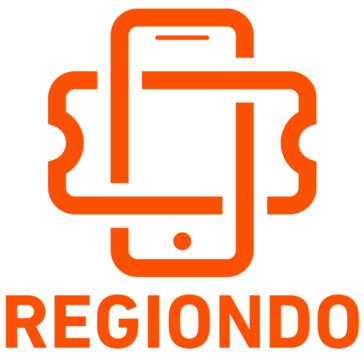 Regiondo helps even small companies to get known in a wide area. It helps you when you are completely new to this field and want to set up your own ticket system. The Layout is quite nice. The basic package costs and does not allow any of the extra features, compared to other companies, they are lacking greatly in what you get for the price you pay. There are no detailed options such as bundles, up-selling etc. Use of even the basic services are not granted unless you upgrade .Regiondo is one of the most awesome software available in the current market. It takes a few moments to get the basics after a wile no problem. It is very good for users like me while using this . It has best features when compared to other competitors .They can make this software much more better software. Now Regiondo Pro is a important part of our business. Always again.New proposals are equally fast and uncomplicated appointed as changes in this which are in place. It´s really easy to find bookings, statistics are clear. * We monitor all Regiondo reviews to prevent fraudulent reviews and keep review quality high. We do not post reviews by company employees or direct competitors. Validated reviews require the user to submit a screenshot of the product containing their user ID, in order to verify a user is an actual user of the product. Hi there! Are you looking to implement a solution like Regiondo?